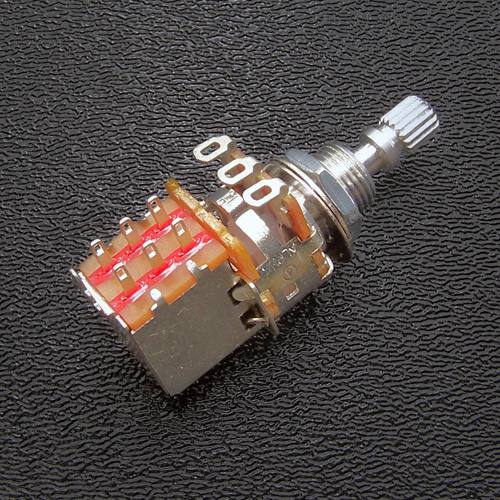 500K audio taper split shaft volume or tone potentiometer with DPDT push-pull switch. 3/8" mounting shaft bushing diameter, 3/8" in length. Includes hex nut, flat dress washer and locking star washer. Great for coil tapping, phase, series and parallel pickup selection modifications.